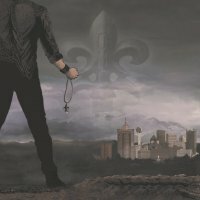 Perhaps it's because your favourite music magazine has gone quarterly*, but it only seems like a couple of issues ago that I was reviewing Operation Mindcrime's debut 'The Key' (click HERE to read the review) and reporting on its encouraging differences to and improvements on Geoff Tate's 'Frequency Unknown' release under the temporarily held Queensrÿche name. The second part of a concept trilogy, 'Resurrection' is a more challenging listen and lacks much of the immediacy of its predecessor. Recorded with basically the same band as before; drummers Simon Wright (AC/DC, Dio) and Brian Tichy (The Dead Daisies/Whitesnake), Disturbed bassist John Moyer and guitarist/producer Kelly Gray, amongst others, it's keyboardist Randy Gane who plays a much bigger role than last time out. Tate has always used sound effects, bits of dialogue and dramatic instrumental passages to create a mood, but here it's track five of fourteen when we finally get the first proper song, after some random sounds, a heavy instrumental snippet, a ballad of less than a minute and some processed vocals on a short atmospheric track. When the songs do start, they're mostly Doomy and mid-paced, with a wall of bass, keyboards and drums and a modern distorted production. Tate's vocals are mostly buried in effects and he barely goes above his mid-range, it almost sounds like an Industrial, down-tuned slant on 'Rage For Order', without the inventive guitar riffs. 'Left For Dead', 'Miles Away' and 'Invincible' are pretty impenetrable at first, and even when you've familiarized yourself with them, it's hard to actually enjoy them. Similarly, 'Into The Hands Of The World' and 'Live From My Machine' end the album in a dreary, plodding way, with almost spoken vocals and melodies buried under the weight of too many overdubs. Things are a little brighter on the middle section with 'Healing My Wounds' and its bass groove and sax solo, the simpler 'The Fight' and the relatively sharp and Rocky 'A Smear Campaign', whilst 'Taking On The World' is the 'Re-inventing The Future' of the album with a recognisable style and backing vocals from guests Tim "Ripper" Owens and Blaze Bayley. Despite some effective atmospherics and plenty of quirky time changes, it's mostly too slow and lacking in hooks, which undoes a lot of the groundwork made by '...Key'. It's Progressive and brave, but also stodgy and cumbersome. Approach with caution!